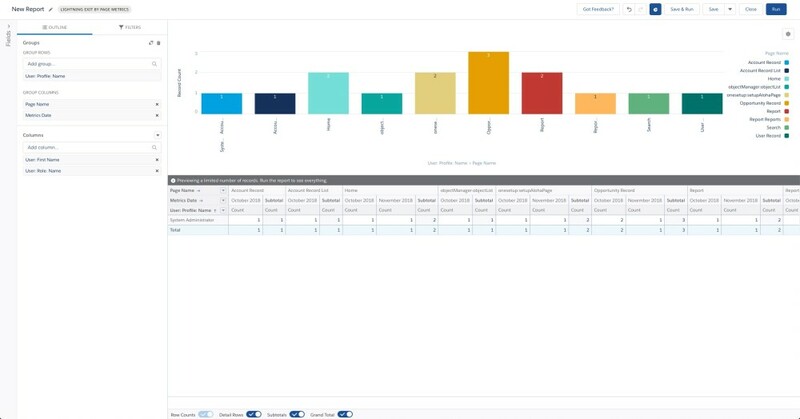 The Lightning Usage App is an efficient way for #AwesomeAdmins like you to track the adoption and usage of Lightning Experience in your org, so you can monitor progress and make informed decisions. Having tools like this at your fingertips will allow you to lead the way in your company through championing productivity, and continuing to deliver the innovation packed into Lightning Experience. Though the app displays critical Usage and Performance related information, it does not cover all the permutations and combinations you may need. How do I get a list of all the Users in my org who switch from Lighting to Classic? Is there a way I can get a list of all Users experiencing the best performances along with the corresponding page names and the performance times? Can I get a list of all Users in my org who switch from Lightning to Classic along with their names and email ids? 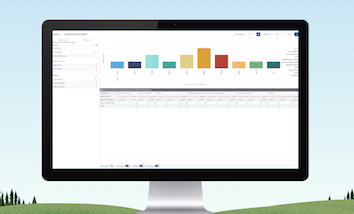 LightningToggleMetrics – Represents Users who switched between Lightning Experience and Salesforce Classic. 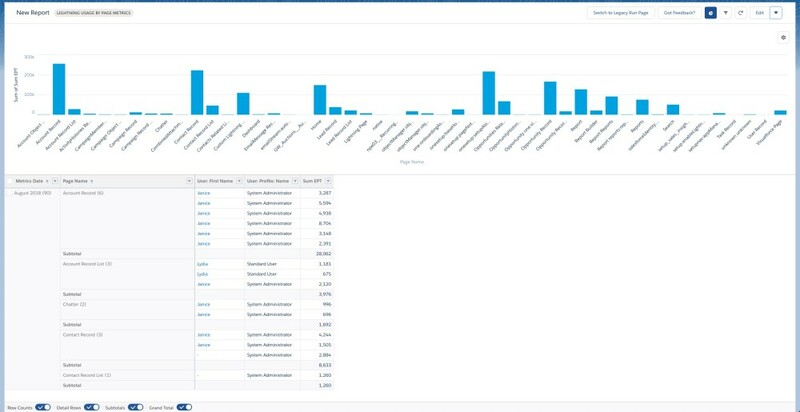 LightningUsageByAppTypeMetrics – Represents number of Users on Lightning Experience and Salesforce Mobile. LightningUsageByBrowserMetrics – Represents Lightning Experience usage grouped by User’s browser. 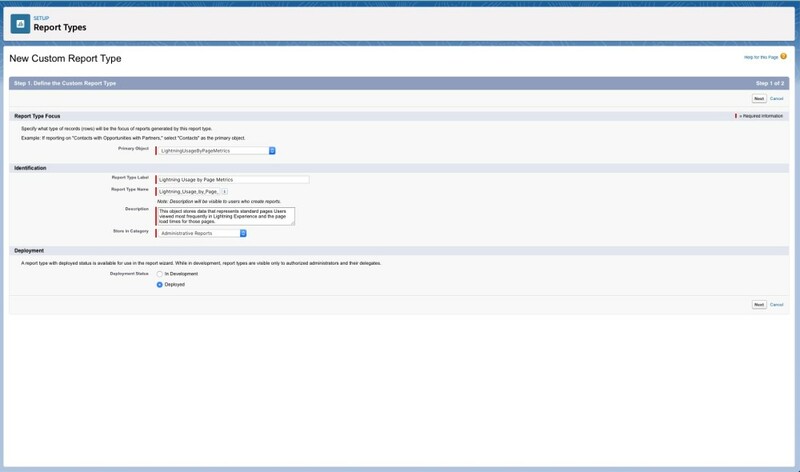 LightningUsageByFlexiPageMetrics – Represents custom pages Users viewed most frequently in Lightning Experience. LightningUsageByPageMetrics – Represents standard pages Users viewed most frequently in Lightning Experience. 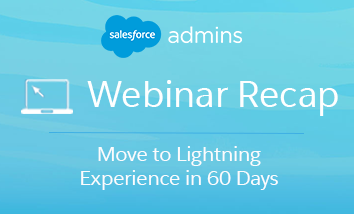 Taking the three questions/use cases mentioned above, I’ll walk you through how you can create the reports you need to be successful in continuing to drive Lightning adoption in your org. When we roll out Lightning to our Users, it is important to understand which Users or groups of Users may be switching back to Classic. This information helps us understand what functionality or training would help those Users adopt Lightning. Data about individual User switches between Lightning and Classic is stored in the LightningToggleMetrics object. In order to report on all Users who are switching from Lightning to Classic, we need to build a Custom Report Type based on the Lightning Toggle Metrics object that has related fields from Users records. Object Description – This object stores records that represent every time a User has used the switch button to change their experience from Lightning to Classic, and from Classic to Lightning. Customize your new Report Type – When you build your custom report type, you can add fields via lookup to define which User fields you want to make available for reports created with this report type. 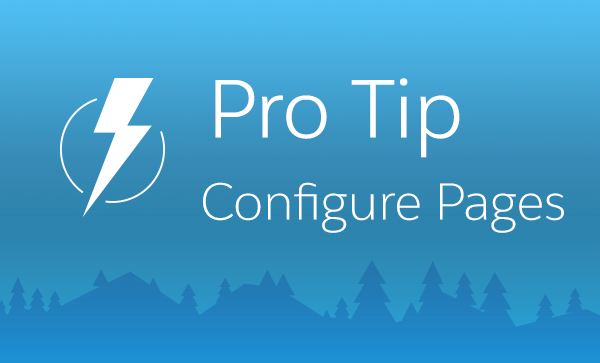 For example, in order to run a Lightning Toggle report that includes User Profile and Role you would add those fields during this step. Build a new report with this report type: Once you have created this new Report Type, you can create new reports using this custom report type and apply filters and grouping just like any other report. For this report, we will group by Metrics Date and “to.” In the Report Builder, you can group by Metrics Date, Action (whether the User was switching to Aloha or switching to Lightning), and Profile to create a chart grouping which types of users are switching, which type of switches they are performing, and notice any trends by profile or time. You can also display your report details below to see which specific users may be switching often. As you are enabling your users to use Lightning, you want to ensure that they have a good user experience. This report is helpful when examining what pages are most used in your org. With this information, you can customize the pages for the types of users that use them most often. Examining which pages have high exit rates can also help you locate any adoption obstacles and optimize pages that may be loading slowly and impacting your user experience. Object Description – This object stores data that represents standard pages users viewed most frequently in Lightning Experience and the page load times for those pages. Customize your new Report Type – Just like we did with our previous Report Type, we can add specific user fields via lookup to this new Report Type. Adding fields via lookup is a useful step for any Custom Report Type creation, once these fields are added to the Report Type they will be available in all reports created with this Report Type and can be used for filters, grouping, and more. For this report, I want to add User fields like Profile, Role, Email, Active, and Full Name. 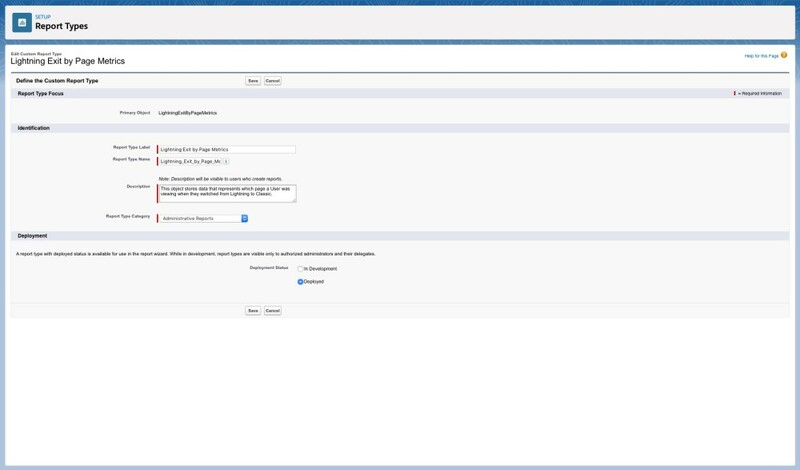 Build a new report with this Report Type: Once you have saved your new Report Type and made it available for use via the “Deployed” radio button, users can create a New Report and search for Lightning Usage By Page Metrics when selecting the Report Type. For this report, we can group by Metrics Date, Profile, and Page Name in order to create a chart showing which pages have the highest page load times and which types of Users are most impacted. Now that you have examined which users and types of users are switching from Lightning to Classic, and you have reported on most used Lightning pages and the performance of those pages, we want to learn what specific pages are prompting users to switch from Lightning to Classic. With this information, we can uncover possible functionality or training gaps that are forcing users to switch back to Classic. For example, if your marketing users are switching from Lightning to Classic when they are using the Lightning Contact Page, there is likely some specific function they are unable to complete in Lightning. Once you uncover this information, you can work with your users to examine what is causing them to switch on this page, and if there is a customization or training solution you can provide. Object Description – This object stores data that represents which page a User was viewing when they switched from Lightning to Classic. Customize your new Report Type – Since I am interested in viewing which specific users are switching as well as which types of users are switching, I will add User fields to this Report Type including Profile, Role, Email, and Full Name. 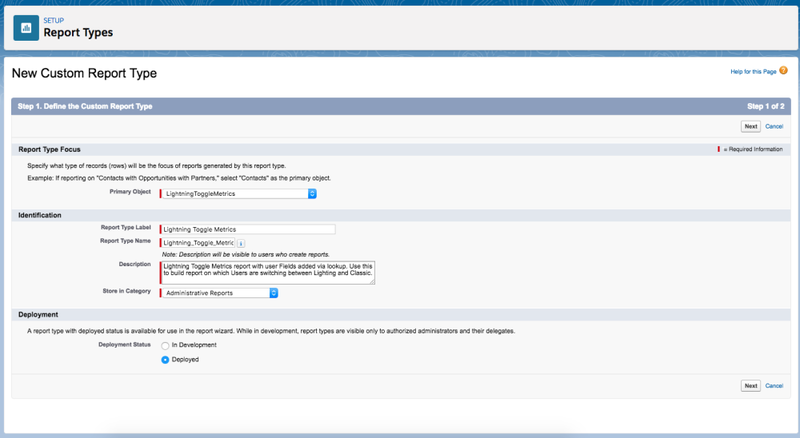 Build a new report with this Report Type: Users can create a New Report and search for Lightning Exit By Page Metrics. In this new report, they can group by Profile, Page Name, and Metrics Date to create a chart that will display which pages have the highest Exit Rates, and which Users are switching from those pages most often. User experience and adoption are important elements of the Admin toolkit, and the Lightning Usage App is an excellent pre-built tool to understand Lightning Usage within your organization. Using these objects and your own Custom Report Types are an excellent resource that will help you drill further into the details of Lightning Usage and identify where additional adoption efforts may help. 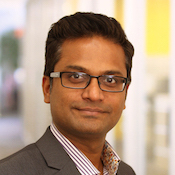 Venkat Narayan is a Senior Manager with the Product Management Instrumentation team. 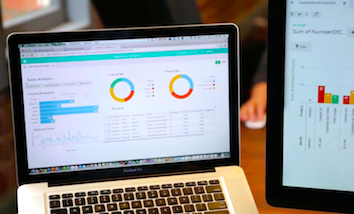 He and his team build products that empower customers to measure what is critical to their application.